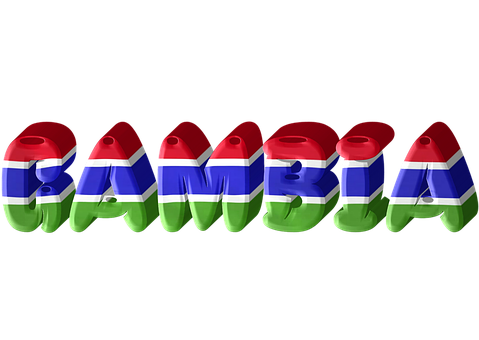 On the 18th of February, 1965, The Gambia became a politically independent country, having been granted independent status by the British colonial powers. A new constitution was introduced with the coming of independence. Though the Queen of England remained the Head of State, she was only a nominal head, represented by a Governor, a British national. The constitution made provision for the position of a Governor-General. The Governor-General was appointed by the Cabinet of the Gambia and he exercised the powers that were hitherto exercised by the Queen. At independence, the Governor-General was John Warburton Paul until he left office on 9th February, 1966 to be replaced by Sir Farimang Mamadi Singatehthe same day. The constitution also made provision for the position of a Prime Minister. The constitution empowered the Governor-General to appoint a Prime Minister if his or her party emerged as the dominant party in the National Assembly after a general election. The Prime Minister was therefore leader of the majority party in Parliament. At independence in 1965, Sir Dawda Jawara was appointed as the country’s first Prime Minister. The constitution made provision for the establishment of a 32 seat unicameral legislature and it was referred to as the House of Representatives. In addition, provision was made for a Speaker of Parliament to preside over the conduct of proceedings of the National Assembly. Hon. Sir Alieu Sulayman Jack continued to serve as the Speaker of the house till he left office in 1972. The constitution made provisions for a judiciary, hierarchical in structure. It was designed much like that of the British. The highest court of appeal, however, remained the Judicial Committee of the Privy Council in London. The constitution made provisions for the guarantee of the fundamental human rights of the people. It allowed for free speech, freedom of movement, religion, political persuasion, etc. 1. Highlight the main features of the independent constitution of The Gambia.